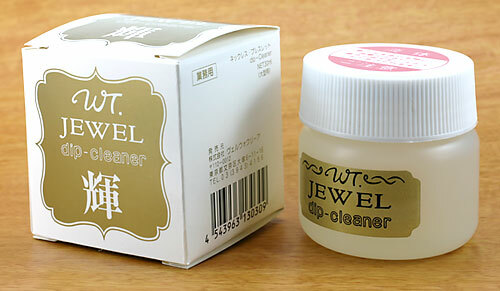 Cleaner, Dip type Jewel / 1bottle 20ml. This Jewelry cleaner can revive luster on jewelry made from gold or platinum. Also not suitable for jewelry contains pearl, opal, coral, turqoise etc. Put your jewelry in this container and shake for several seconds.